SMX India is a name that does not require any version of introduction in the sewing machine industry, as it has set a benchmark since 1962 under the profound leadership of Mr. Santosh Agarwal and Mr. Vikas Agarwal. As pioneers in the sewing machine industry our age old establishment is the driving force behind our endless accomplishments and prosperity. 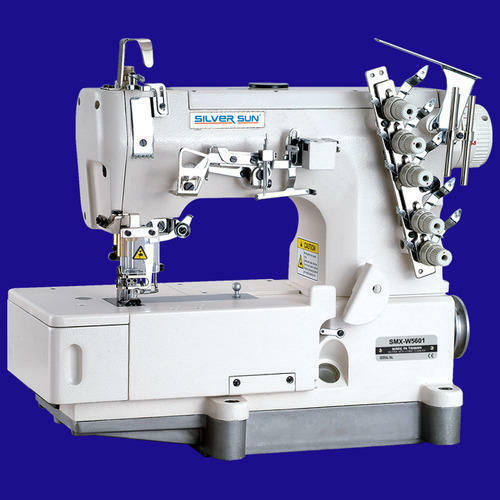 We specializes in new and used Industrial Sewing Machines, computerized embroidery single/multi head machines, cloth cutting machines and various other products required for manufacturing of garments, knitwear, leather products, jumbo HDPE and Jute bags and every product where stitching is required from various countries like USA, UK, Japan, China, Taiwan. Along with, we also supply all types of spare parts, rotating hooks, bobbin case, needles and accessories as per customer’s needs and carry huge inventory for the same. We are the agents and distributors for various reputed international brands like Silversun, Sunstar, Cerilaini, Km, Meta,etc.. Also we are dealers and stockist for reputated brands like Juki, Brother, Pegasus, Yamato, Kansai, Renown, Singer, Union Sp., Pfaff, Adlar, Tajima, Hirose, Kobem, Schimetz, Beka, Leo Hammertz and others. We are an extremely dedicated concern that has a strong presence in the market for over 50 years and has given us the opportunity to nurture a special relationship with our clients. Maintaining High quality of products, exceptionally feasible rates ,regular introduction of new economic models, brand promotion, prompt after sales service, on time installation and delivery is our forte. So much so, that our consumers are longstanding and are particularly delighted to conduct business with us always.